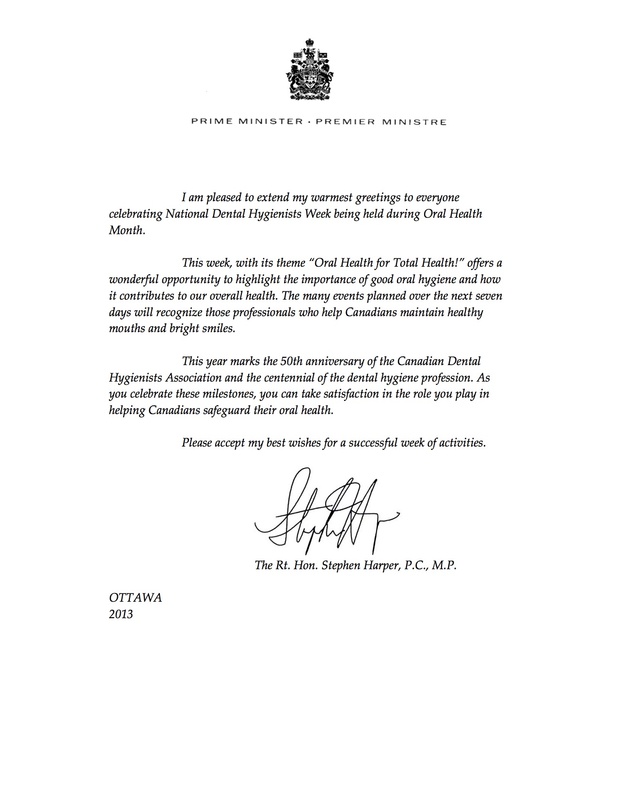 Just wanted to share with everyone the well wishes that Prime Minister Stephen Harper sent to the Canadian Dental Hygienist’s Association while celebrating National Dental Hygiene Week! Congratulations to 50 years of CDHA and CRDHA as well!! !